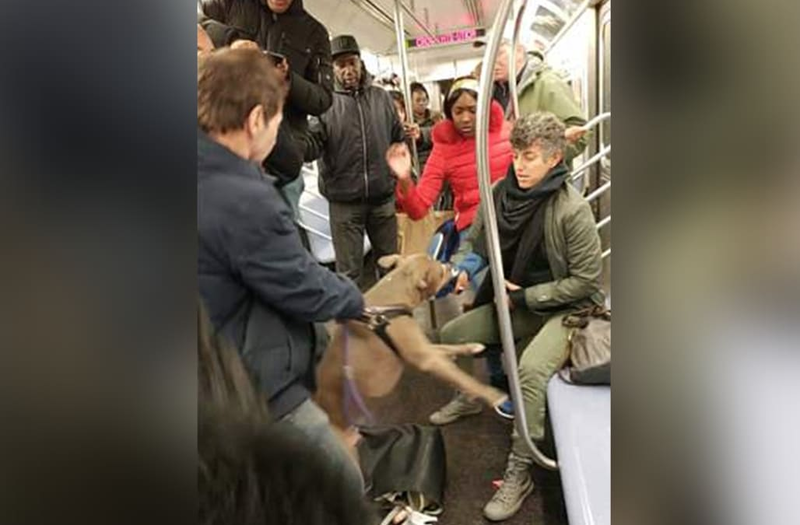 Police are investigating after a pit bull was seen viciously attacking a woman inside a New York City subway car last week. On Friday, a straphanger was standing on the 4 train that afternoon when the dog, which was on its owner’s leash, clamped down on the rider’s foot and would not let go. Other riders tried to free the woman’s foot from the dog’s grip. The whole incident was caught on tape, and authorities are now trying to identify the dog's owner. Would you know how to escape a dog attack in a closed space like the subway? To find out, Inside Edition turned to Los Angeles-based veterinarian, Dr. Jeff Werber. "Get their back legs if you can and lift them off the ground, if they start losing that sense of stability, they release as well," Dr. Werber said. "Good tips would be to remain calm. Don't agitate the dog or don't scream and don't get the dog worked up and certainly ask for help." Like most cities, dogs are banned from the New York City subways unless they're small enough to fit into a carrier. Large dogs are permitted only if they're guide dogs or service animals for those with disabilities. Tahsyi King recorded the shocking video of the pit bull attack. He says the dispute started when the woman found the dog actually sitting on the seat next to her. A litter recycling bin on the subway train platform in the Manhattan borough of New York, New York, USA. "She pushes it, ‘What is this dog doing on the chair?’ He was like, 'Yo! Do not push my dog!’ She just does it one more time and just goes swinging," she told CBS New York. Witnesses say the dog's owner never instructed the pit bull to let go. Finally the woman's sneaker came off and the owner threw it at her. He also argued with other irate passengers. Luckily, the woman did not sustain any injuries in the attack.